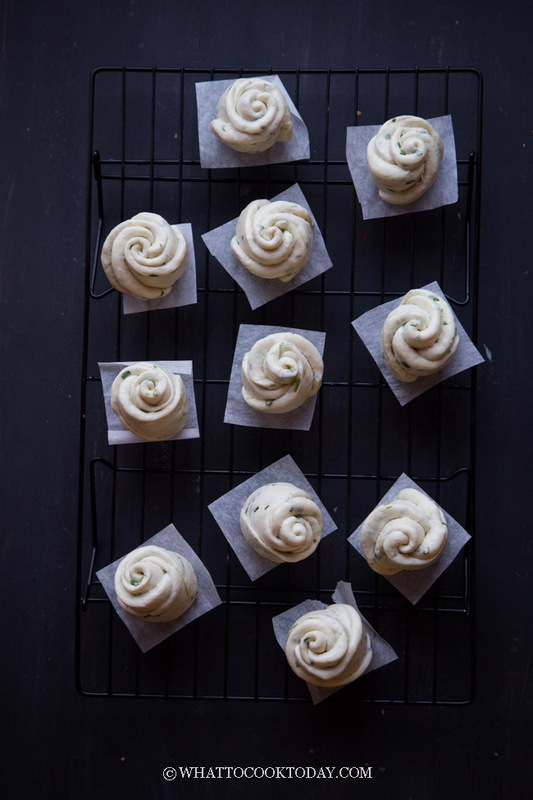 Learn how to make soft and fluffy scallion steamed buns studded with scallion and infused with sesame oil. Hua juan can be cooked by steaming or pan frying. So, no worries if you don’t have a steamer! 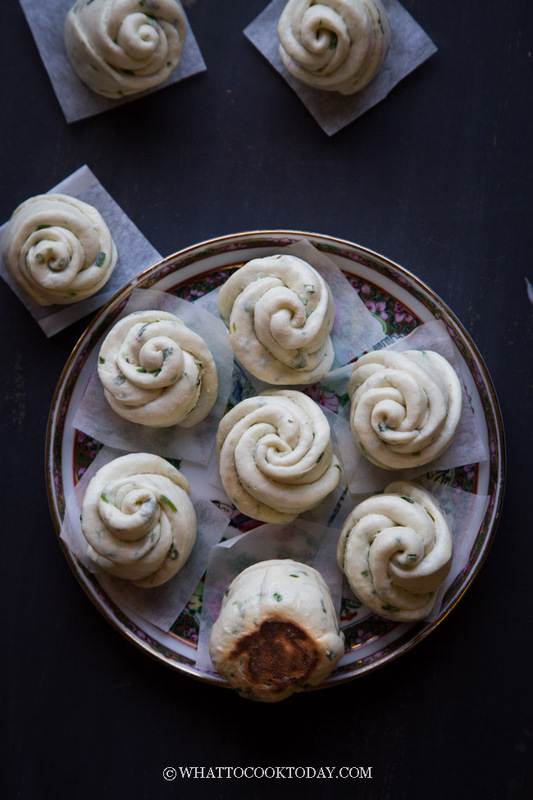 Once you have a good basic steamed buns recipe, the possibilities are seriously limitless. 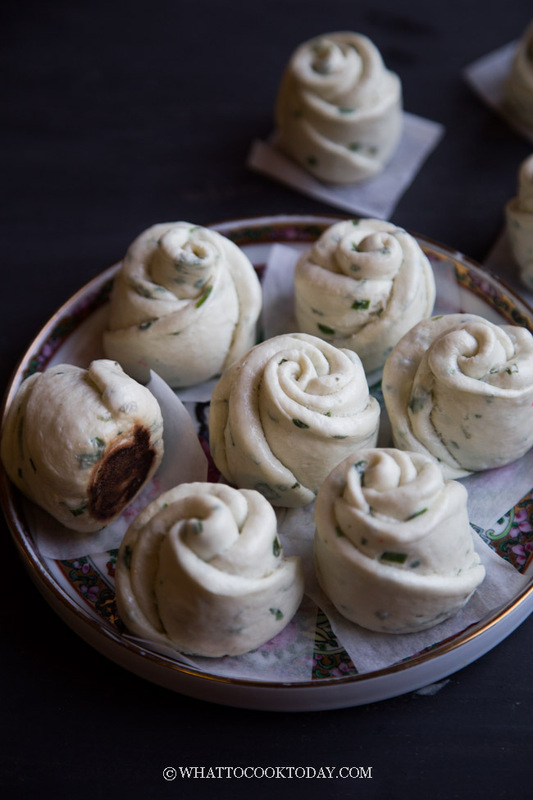 You can easily turn the recipe into sweet or savory steamed buns. 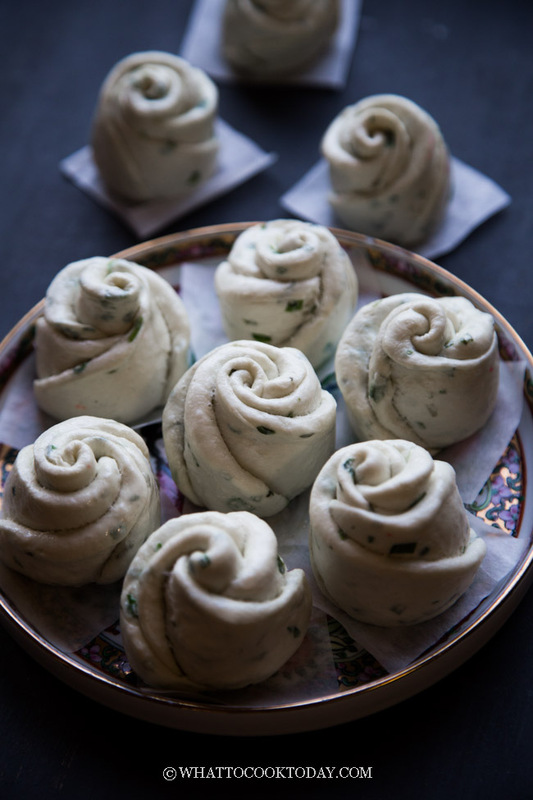 This hua juan (literally means flower rolls) is made with that soft fluffy steamed buns recipe by adding chopped scallion and infused with the aromatic sesame oil. My kids, especially my little boys can easily eat 5 of these at one go! It’s one of his favorites steamed buns. Another sweeter hua juan variety I made was this pumpkin hua juan. There are many different varieties of hua juan shapes out there. 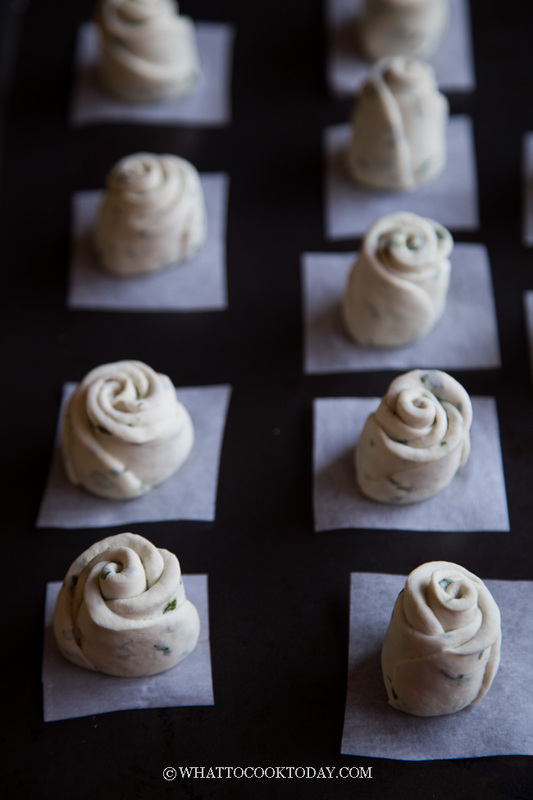 Some looks like rolls, knots, braids. There is no right or wrong shape if you ask me. 4. 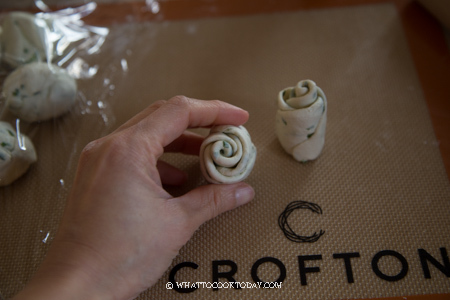 Cut it into two. 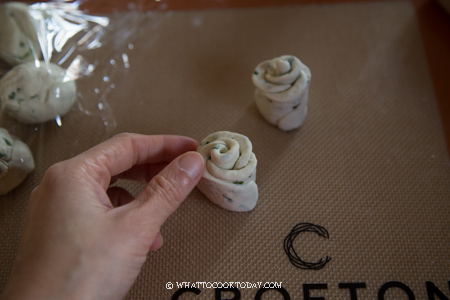 Place the cut side down on a parchment paper or muffin paper. 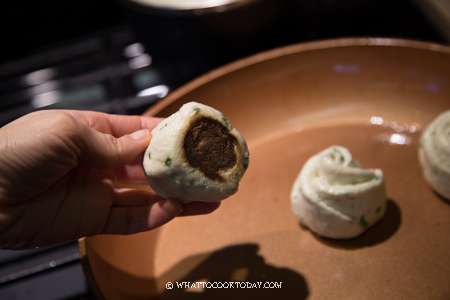 These hua juan had puff up to about 50% of its original size and ready to be steamed or cooked in the pan. 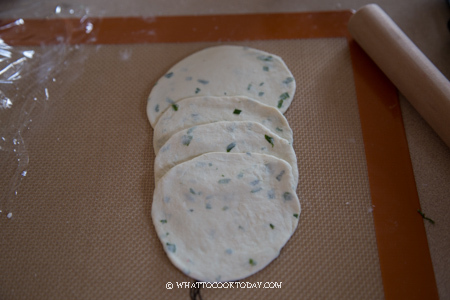 Have you ever cooked pot stickers? yup, the same concept. 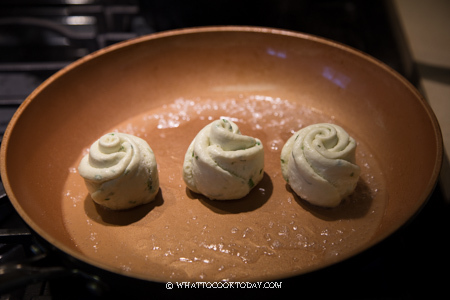 The buns are pan-fried until golden brown and then steamed. 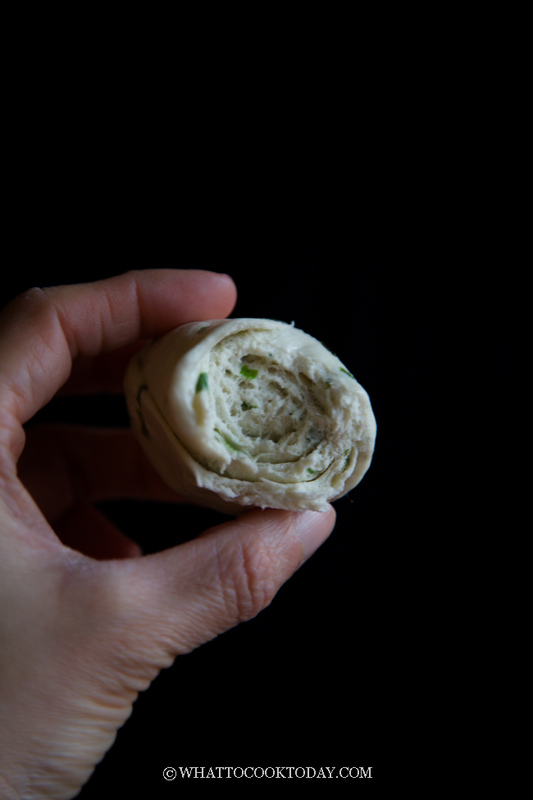 Learn how to make soft and fluffy scallion steamed buns studded with scallion and infused with sesame oil. Hua juan can be cooked by steaming or pan frying. So, no worries if you don't have a steamer! Pour in 1/2 cup of liquid. It will sizzle. 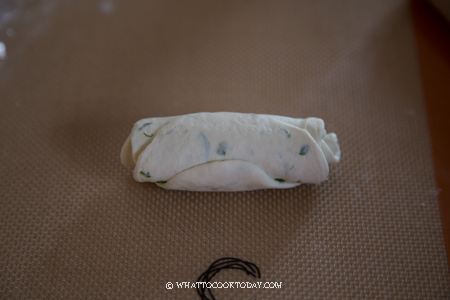 Cover with a lid and let the buns steamed for the next 2 minutes. 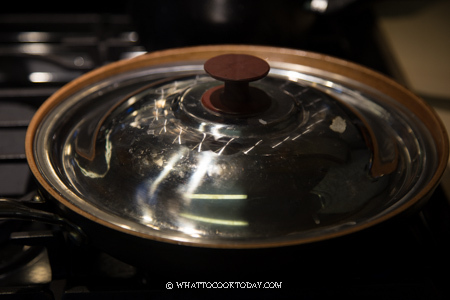 Uncover the lid and let the leftover liquid cooked until evaporates and you will see some oil. You should be able to remove the buns from the pan. If they don't slide, don't panic. remove the skillet from the hit. Place the lid back on and wait for a moment before removing them, they will be easier to be removed after that. 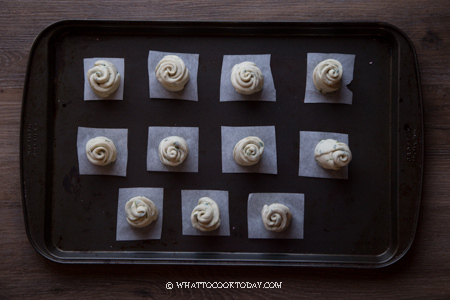 If you like a chewier texture, you can use all-purpose flour instead of cake flour, or mix half and half. 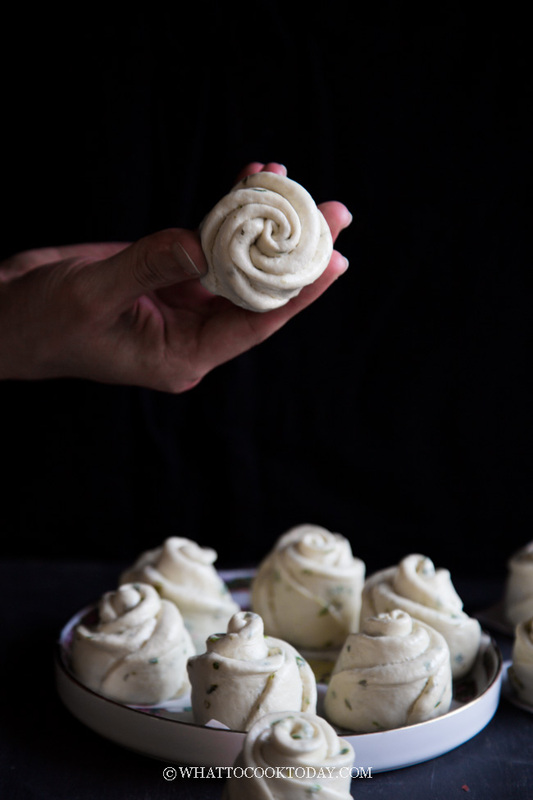 These flower buns look simply delicious! 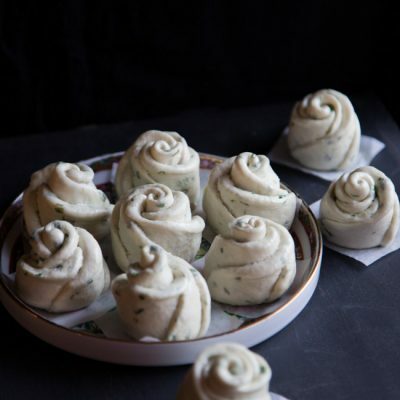 The ingredients remind me of the scallion pancakes, I know I will like them. I think I want to try the pan method. I hope that mine turn out smooth, haha. 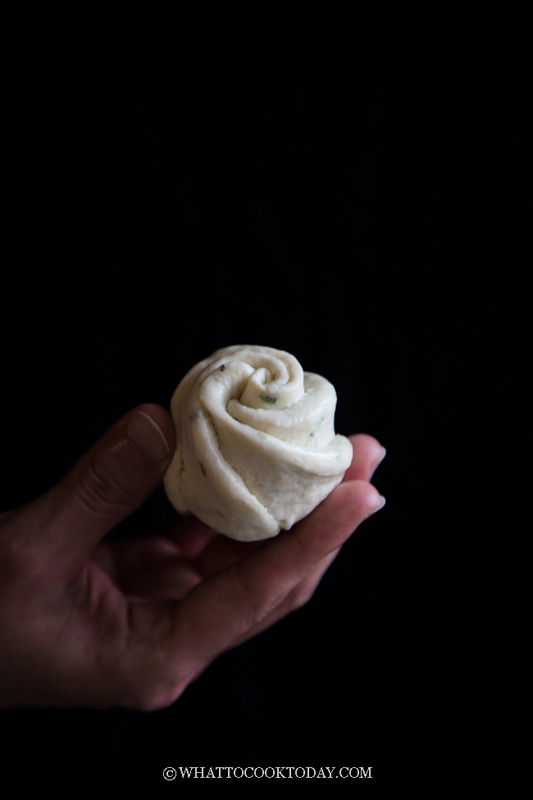 I am still gaining experience with steaming buns, but definitely moving in the right direction after each try. 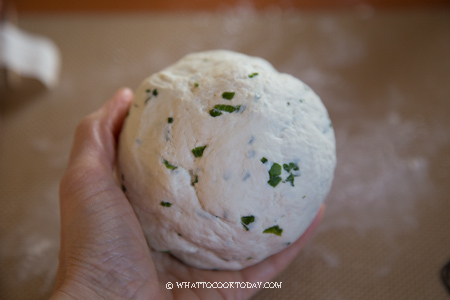 Great recipe – thank you for all the details.